It is our honor to invite you to participate in the 14th International Conference on Mercury as a Global Pollutant (ICMGP 2019), which will be organized in Krakow, Poland, from 8 through 13 September, 2019. 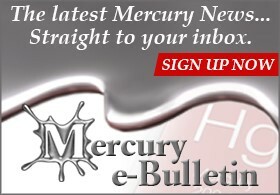 Bridging knowledge on global mercury with environmental responsibility, human welfare and policy response. The ICMGP 2019 will follow the tradition of previous successful conferences with synthesis, detailed sessions, and presentations on mercury science, technology, management and health. This event will also be the opportunity for exhibition of most recent developed equipment to measure mercury in various environmental samples, and technology to reduce mercury emissions and exposure. A diverse community of conference participants is expected with industry, government, research institutions, NGOs and academics. The Conference program will include plenary, invited and contributed oral presentations, poster presentations, small group thematic meetings, opportunities for student mentoring, demonstrations by instrument vendors, and networking. The ICMGP 2019 will also provide the opportunity to discuss the options for low-mercury energy and industrial technologies and then the concept of low-mercury society. More information on the Conference program will be available at the Conference website. We truly believe that the ICMGP 2019 Conference will be the main place to review our knowledge on mercury research and implementation of its results for reduction of our exposure to this dangerous pollutant. The Conference will also be the place to define future research avenues and policy directions for meeting the targets presented in the various environmental programs and organizations aiming at lowering the presence of mercury in the environment, with a prominent example of the Minamata Convention. We truly believe that the Conference will be very beneficial to its participants. Therefore, we welcome you to mark your calendars for September 8-13, 2019 Mercury Science Festival and join us in Krakow for the 14th International Conference on Mercury as a Global Pollutant.